FOR HOME USE - Can be used in your garden without the need of a spraying certificate, contains the same amount of glyphosate as professional grade weedkillers. STRONG WEEDKILLER - Effectively controls annual and deep-rooted perennial weeds, kills most weeds within a single application. USE RESPONSIBLY - Do not spray in rainy or windy conditions, do not walk on treated area until dry. Gallup Home & Garden is the ideal personal garden use weedkiller. 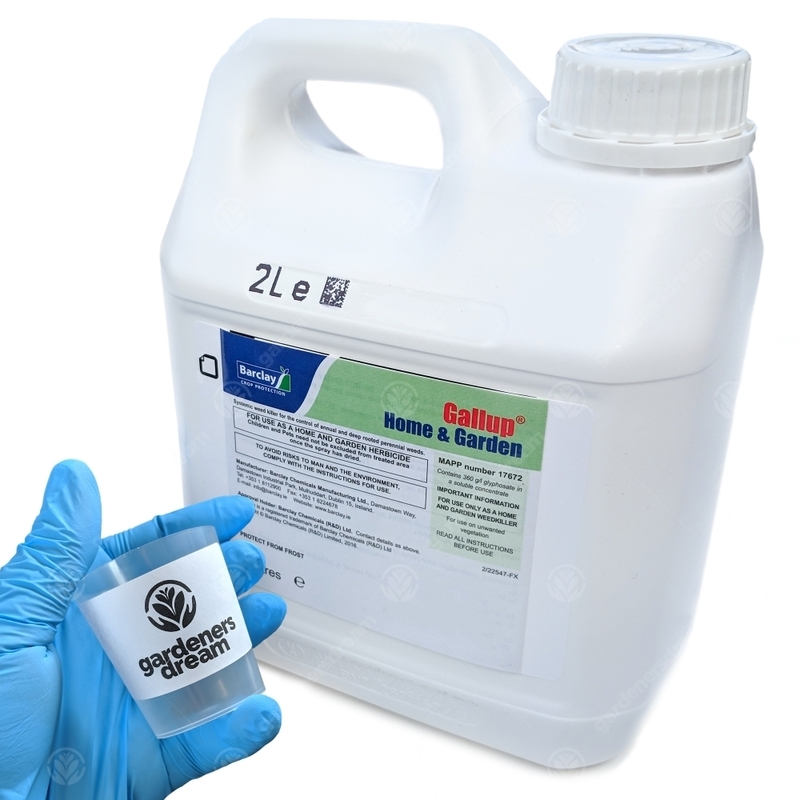 A glyphosate based product, it is one of the strongest weedkillers available and will deal with most weeds such as, docks, grasses, nettles, dandelion and bindweed upon first application. The product leaves no lasting residues or odours and is inactive upon touching soil, so once the area is dry it will be safe to get back into the garden. Home & Garden works well with personal knapsack sprayers, simply dilute 30ml of the chemical per litre of water (e.g A 5L Sprayer will require 150ml of Gallup). A complimentary pair of gloves and a 60ml measuring cup will be included with your purchase.